Thank you to all of you! We are so blessed to have you in our lives and we cannot thank you enough for contributing towards our dream honeymoon at One&Only Palmilla! In Los Cabos on our romantic honeymoon, we will kayak in the most beautiful bays. We will cruise along the pristine coastline to a marine sanctuary boasting amazing sea life and tropical fish. Next, we will explore Lover’s Beach and its incredible rock formations, followed by a visit to a remote sea lion colony. 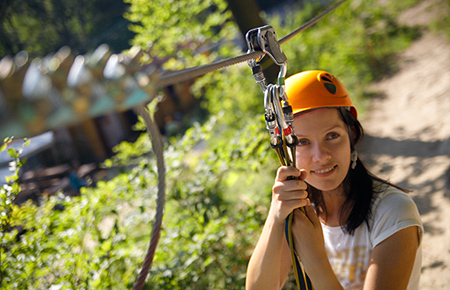 On our tropical honeymoon at One&Only Palmilla we will enjoy the Canopy Adventure. While suspended safely in a harness, we will fly across trails and dry river beds through a canyon on a cable ride. Thanks to your generous wedding gift, we will discover a thrilling adventure while admiring the surrounding area from a bird’s eye view. At One&Only Palmilla we will choose from an array of exciting excursions and adventurous activities on our honeymoon. We will choose from an array of water sports, including surfing, parasailing, wave runners, or we will embark on a whale watching cruise, a horseback riding expedition or an ATV tour. 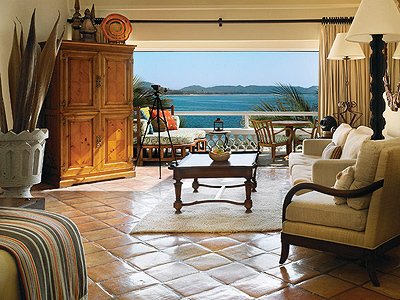 W can’t wait to explore the spectacular surroundings of Los Cabos! We will create endless honeymoon memories while diving or snorkeling in Los Cabos. Below the surface we will discover a world of majestic beauty including colorful reefs abundant with tropical fish, manta rays, hammerheads, sea turtles, sea lions and more. Thanks to your lovely wedding gift, we will experience an underwater paradise that we have only dreamed of. The Rhino Safari promises us an exhilarating experience! We will explore the untouched off-track paths of Baja while riding in an all-terrain Yamaha Rhino. Along the way, we will witness spectacular ocean side cliffs, lush desert ranges and canyon trails. While enjoying this exciting adventure we will create endless memories on our honeymoon. 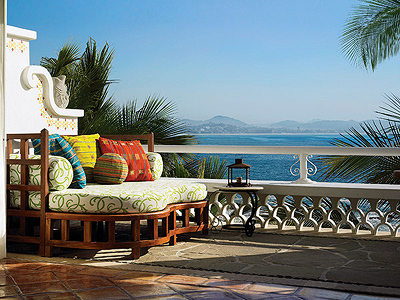 One&Only Palmilla promises us a magical experience on our romantic honeymoon. We will have the opportunity to learn about dolphins before we join one of these friendly creatures in a specially designed 12 feet deep pool. Together we will play, swim and discover an unforgettable adventure with a dolphin! Your thoughtful wedding gift allows us to play a round of golf on our honeymoon at One&Only Palmilla. Designed by Jack Nicklaus, this 27-hole, par-72 course tests even the most experienced players. 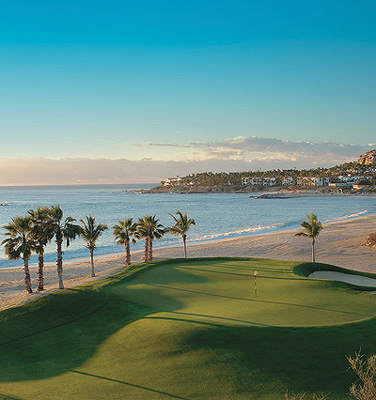 Boasting rolling fairways, spectacular greens and surrounding natural beauty including towering cacti and deep arroyos, we will enjoy exciting rounds of golf at Palmilla Golf Club! With your generous wedding gift we will choose from an array of sailing excursions on our honeymoon in paradise. We will charter a private vessel and cruise through sparkling waters along Cabo San Lucas’ coastline while learning about the history of the Baja Peninsula from our guide. Whether we choose a romantic sunset cruise or a snorkeling trip, we will enjoy an unforgettable sailing experience! Our tropical honeymoon at One&Only Palmilla offers us the opportunity to embark on a deep sea fishing excursion. 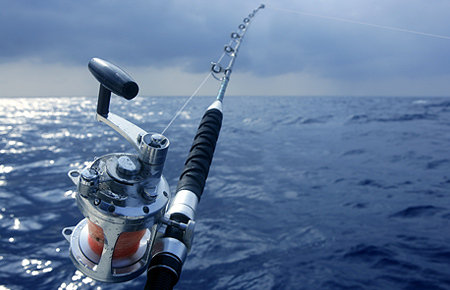 Los Cabos is known as the “Marlin Capital of the World” and offers more than 800 species of game fish. The Captain and crew will take us to the perfect spot where we will sit back, relax and wait to hook the catch of the day. In the charming elegance of our ocean front room or suite, we will luxuriate in an oasis featuring exclusive services including welcome tequila beverages, fresh fruit, cocktail snacks daily and more. Combining the artistry of Mexico with modern touches and contemporary designs, the ocean front accommodations boast 24-hour butler service, fine furnishings in the sitting areas, king size beds with lavish linens and elegant bathrooms with Lady Primrose amenities. A private verandah promises us a plush daybed where we can relax and enjoy spectacular views of the gracious lawns and the sparkling sea. The secluded beach front rooms and suites present an array of exclusive amenities and services including welcome tequila beverages, fresh fruit, cocktail snacks daily and more. Beautifully decorated with the distinctive elegance of Mexico and hand-crafted touches with contemporary designs, the beach front accommodations boast 24-hour butler service, fine furnishings in the sitting and dining areas, king size beds with luxurious linens and grand bathrooms with Lady Primrose amenities. 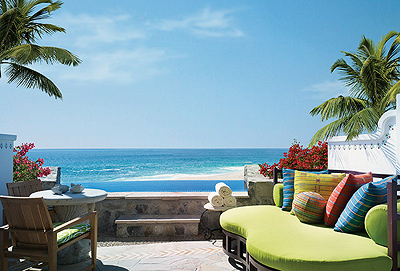 Private terraces and patios offer plush daybeds, dining areas and breathtaking views of the sparkling sea and beyond. 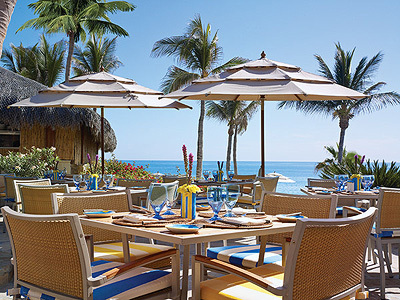 Our tropical honeymoon at One&Only Palmilla promises us a unique dining experience. Agua features a menu of inspired Mexiterranean cuisine for breakfast, lunch and dinner with a diverse wine list showcasing Mexico’s many undiscovered wines. Beautifully designed with a palette of vibrant red and yellow glass mosaic walls, blue and white patterned tiles and a cluster of colorful Moroccan lanterns, Agua boasts indoor and outdoor seating. 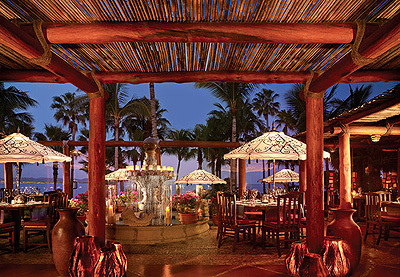 Together, we will tantalize our taste buds at this palapa-style restaurant while admiring the sparkling Sea of Cortez! We will take delight in sumptuous lunches and afternoon snacks at Breeze. Overlooking the Vista Pool and the Pacific Ocean and beyond, this outdoor terrace café serves culinary creations by Jean-Georges Vongerichten. From quesadillas and ceviches, to a variety of fresh sandwiches and crisp salads, our casual dining indulgence will be enhanced with tropical libations. Together, we will sit back and relax in the charming atmosphere of the bars and the wine cellar. From the tropical concoctions, sumptuous snacks and enticing appetizers served at Agua Bar, to an abundance of fine wines and tequilas at the Wine Cellar, we will celebrate our new lives together with our favorite drinks and delights. With your lovely wedding gift we will experience an exceptional dinner at Market on our honeymoon. Michelin-starred Chef Jean-Georges Vongerichten presents a unique dining concept, Euro-Asian cuisine with Mexican inspirations. 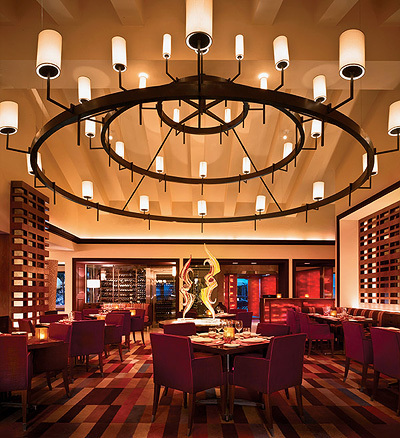 Beautifully designed with an understated elegance, a warm palette of rich colors and original artwork, this delightful restaurant boasts an extensive wine list and unforgettable dining indulgences! 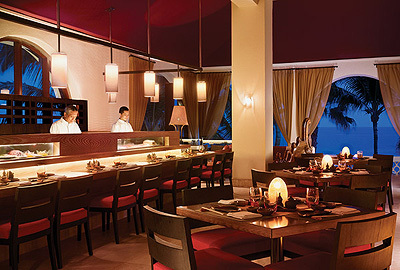 At One&Only Palmilla we will discover an exotic culinary experience while dining at Suviche Restaurant. In a casual setting decorated with a palette of creams, contrasting colors and hardwood furnishings, we will choose from a menu featuring fresh Sushi and Ceviches. Offering scenic views of the Sea of Cortez, live entertainment, a Sake Sommelier and an extensive green tea menu, Suviche Restaurant promises us an unforgettable dinner in paradise! 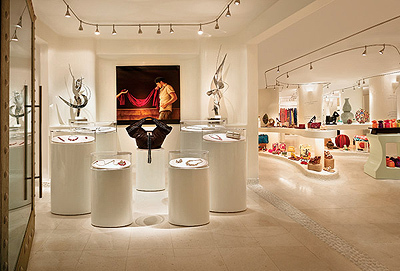 Together we will shop around One&Only Palmilla’s Boutique on our honeymoon and bring a piece of paradise home with us. We will have exclusive access to the world’s finest resort wear, including international designer collections, ceramics and hand embroidered linens, local crafts and works of art. Thanks to your thoughtful wedding gift, we will cherish our honeymoon keepsakes forever. On our tropical honeymoon in paradise we will discover the ultimate escape. At One&Only Palmilla we will experience the gracious hospitality and relaxed Old World charm of Mexico with an array of endless amenities and exclusive services. We will savor fresh flavors of enticing cuisine at one of the restaurants. We will enjoy a round of our favorite drinks while being entertained by live music. We will journey to a world of peace and calm with a rejuvenating spa treatment for two or we will embark on an exciting adventure. 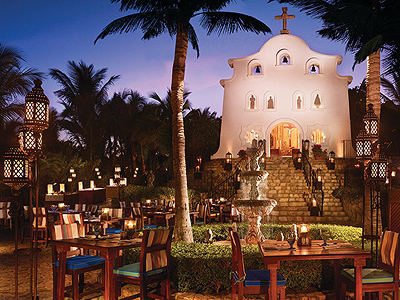 One&Only Palmilla promises us an exotic honeymoon oasis drenched in romantic ambiance! In a beautifully decorated setting with an energy inspired by the natural landscape and culture, we will exchange our vows in the company of our family and friends. One&Only Palmilla will ensure that our special day is perfect in every way with creative, individual attention paid to each detail. With your lovely wedding gift, our beloved day will be just as timeless and enchanting as we imagined! 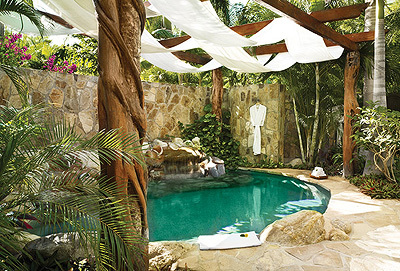 On our romantic honeymoon at One&Only Palmilla, we will receive the Bastien Duo Evasion for Two by Bastien Gonzalez. As we sit back and relax, four therapists will massage our arms, hands, legs and feet for the ultimate wellness experience. We will be mesmerized by this exclusive experience in the comfort of a stunning, private villa. While lying side by side, we will enjoy a private concert by famous musician Antonio Zepeda as our therapist performs an indulgent rose petal foot ritual. Next, we will indulge in a warm chocolate oil massage to soothe the senses and release muscle tension. Our memorable experience will end with a soothing cup of Mayan Chocolate tea to ignite the passion on our honeymoon. One&Only Spa at Palmilla is the perfect location to celebrate the special moment of our honeymoon together. We will enjoy this unique and magical moment embracing the mystique nights. “Oceano de Estrellas” starts when our personal butler escorts us from our suite to the perfect ocean-side palapa where we will receive a relaxing massage. To enhance the total sensory experience, an ocean splash flower bath with Vanilla elixir awaits our return in our suite. 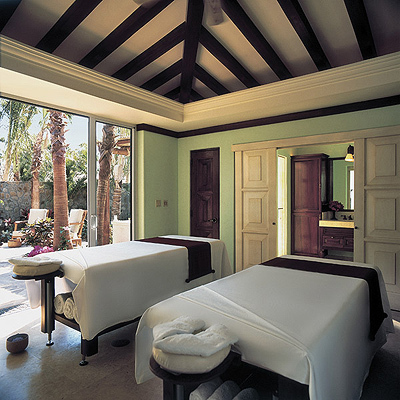 One&Only Spa at Palmilla is the perfect location to celebrate the special moments of our honeymoon together. We will discover a spa journey of pure indulgence and total relaxation. The Grand Celebration Journey includes a signature ritual, private couples therapy, ESPA gift and dinner for two. This journey promises us endless memories that we will cherish forever!